This also gave me the challenge to work on my reverse felting to give the illusion of fur, although my head still can't get round the issue of layering colour to the right depth to create blended colour changing… I'll work it out eventually. 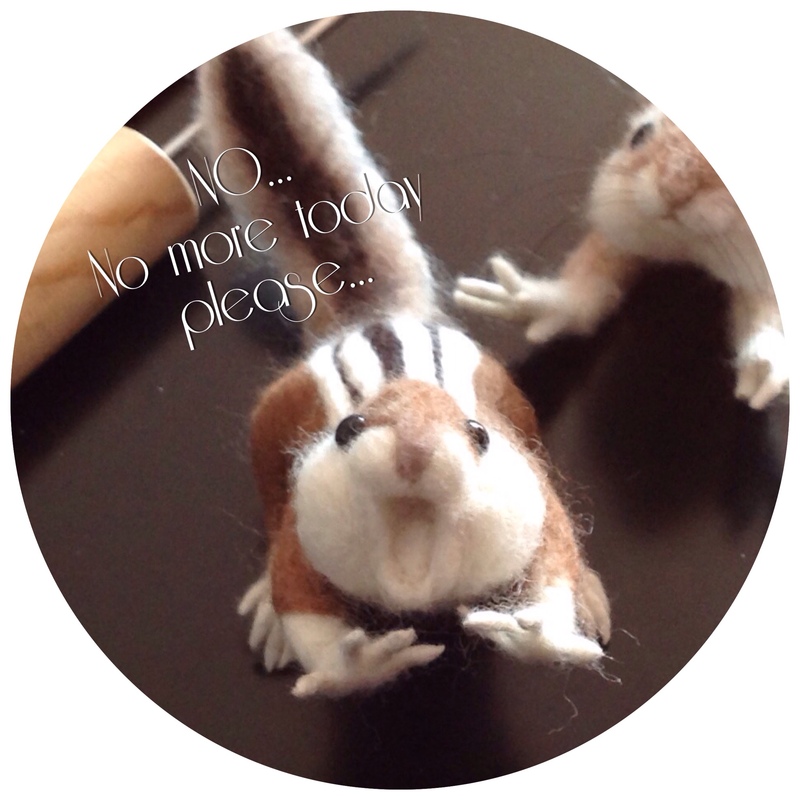 Gosh there is so much to learn and so little time to learn it in..
← Needle felting doll project. Aw, I still gush at your chipmunk (more so even that with the original) even after I saw it on Instagram – the cuteness never goes away!